The issue of parcel surcharging has long been a bone of contention for many internet shoppers. However, consumers across the United Kingdom, and especially those living in Northern Ireland and the Highlands and Islands of Scotland are now set to benefit from the launch of a new website which provides a one stop shop to acknowledge these concerns, which include:. 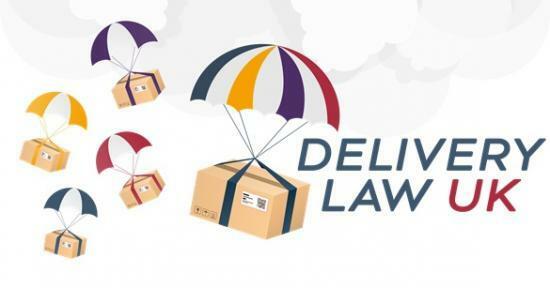 Using funding from Trading Standards Scotland, the Highland Council Trading Standards team led on developing the website www.deliverylaw.uk which has been set up after an investigation by the UK-wide Consumer Protection Partnership (CPP). The CPP brings together a wide range of consumer bodies from across the UK and is supported by both the UK and Scottish Governments. "We receive complaints and enquiries every day about parcel surcharges and our officers' investigations lead all the time to online sellers agreeing to change their practices. But our work can only go so far and we are delighted that the issue is being tackled across the UK. We think that this new website will make an important contribution to the battle to ensure that internet shoppers are treated fairly on parcel delivery." The site's section for consumers has clear, readable information about consumer rights, with examples of each type of potentially problematical scenario. There are also "self-help" tools for consumers to test whether they have a case and template letters to use to raise cases. There is a section to enable consumers to report unfair practices to the correct Trading Standards department or to the Advertising Standards Authority, as well as clear signposting to the Citizens Advice Consumer Helpline where consumers can access more advice. But the site is not just for consumers. There is a section for business with a range of information about how website operators can comply with the law and treat consumers fairly, plus some tips and template letters for businesses to use when they encounter unfair surcharges in their buying. The "practitioners" section of the site is aimed at advisers, investigators, solicitors, policy-makers and others who want to look into the legal requirements in more depth. The CPP project, led by the UK Competition and Markets Authority, found that surcharges were widely applied, often to large urban areas such as Aberdeen, Belfast and Inverness, and not just very remote parts. The new portal forms part of a suite of actions developed by the Consumer Protection Partnership in response to a raft of complaints around unfair surcharging. Cllr Elena Whitham, Chair of the Trading Standards Scotland Governance Board welcomed the launch of the new site, stating: "I warmly welcome the launch of the new website today which provides a one stop shop of information and advice on delivery charges. Unclear and misleading parcel surcharges can heavily impact on a consumer's transactional decision where they may abandon their purchase due to additional charges being added at the last minute based upon where they live. This new site shows the power of partnership working where the Consumer Protection Partnership has identified a significant consumer issue and has pooled resources to develop a solution. However, this site not only benefits consumers, but also practitioners and business, so all parties are clear on their rights and responsibilities. I am delighted that we were able to contribute to this project and I hope that this marks the beginning of a change around unfair charging." George Lusty, Senior Director of Consumer Protection at the CMA said: “No-one should be stung by surprise postage costs at the final stage of an online order, with those living in Scotland and Northern Ireland suffering more than most. It is important that businesses are upfront about all charges, comply with consumer law and do not discriminate against people based on their location. UK Government Business Minister Andrew Griffiths MP said: “We are working with consumer groups to see what more can be done to protect remote communities from unfair charges and have been clear that businesses must be transparent about charges so customers can shop elsewhere if they are excessive. Next week a Ministerial roundtable meeting will be held in Edinburgh chaired by Scottish Government Business Minister Paul Wheelhouse. He said: “We have long been calling for an end to unfair delivery charges for rural and island areas, and welcome any measures to deliver a fairer system for Scottish communities. “We are working to ensure that the parcel delivery market works in the interests of all Scottish consumers and businesses and that bad practice is eliminated and communities are treated fairly, given the glaring unfairness in examples presented to Scottish Ministers and the Scottish Parliament by MSPs and their constituents. That is why I am hosting a roundtable meeting on unfair delivery charges this month with key industry and consumer representatives.